Germany coach Joachim Loew was lavished with praise on Monday morning after his team snatched a late win over the Netherlands in their opening Euro 2020 qualifier on Sunday. 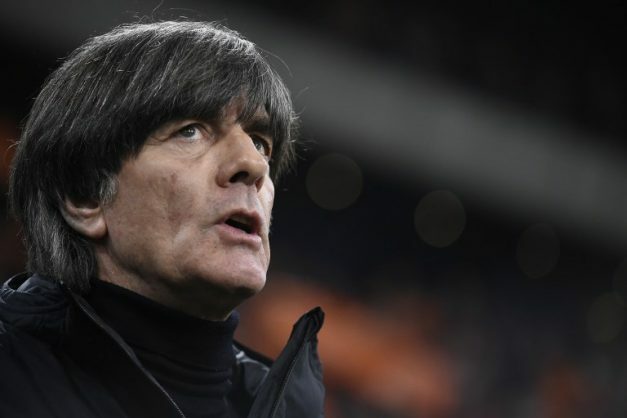 Loew has been under enormous pressure since Germany crashed out of the World Cup and suffered relegation in the Nations League last year. In recent weeks, he has faced growing criticism for his decision to drop veteran stars Thomas Mueller, Mats Hummels and Jerome Boateng from the national team. Yet after Sunday's dramatic victory in Amsterdam, the 59-year-old appears to have got the German media back onside. "Loew delivered in the first truly important game since the World Cup, and showed up everyone who said he is no longer the right man for the job," wrote Bild on Monday. "A victory for the coach!" read the headline in Kicker magazine. "Loew has managed to unite this young team behind him," the magazine wrote. The praise marks a decisive change in tone from the recent criticism. Just last week, Die Zeit newspaper summarised the mood around the Germany team with the headline "Loew versus everyone else". On Sunday evening, the Germany coach played down the idea that he had stuck it to his critics with victory over the Netherlands. "I don't see the win as an act of vindication," he said. "When my team play as well as they did, then I am positive, regardless of what is going on off the field."